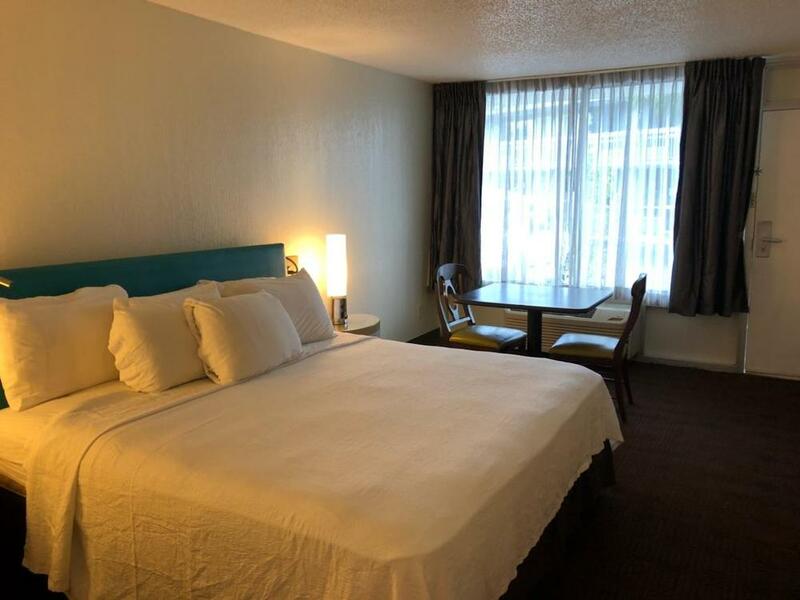 Max Occupancy: 2 This King Accessible Room is only available on the first floor / ground floor only. 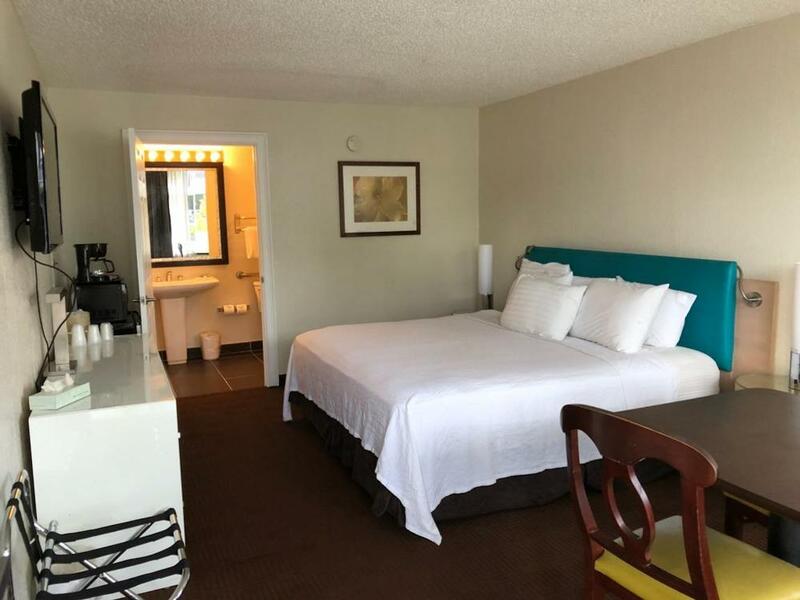 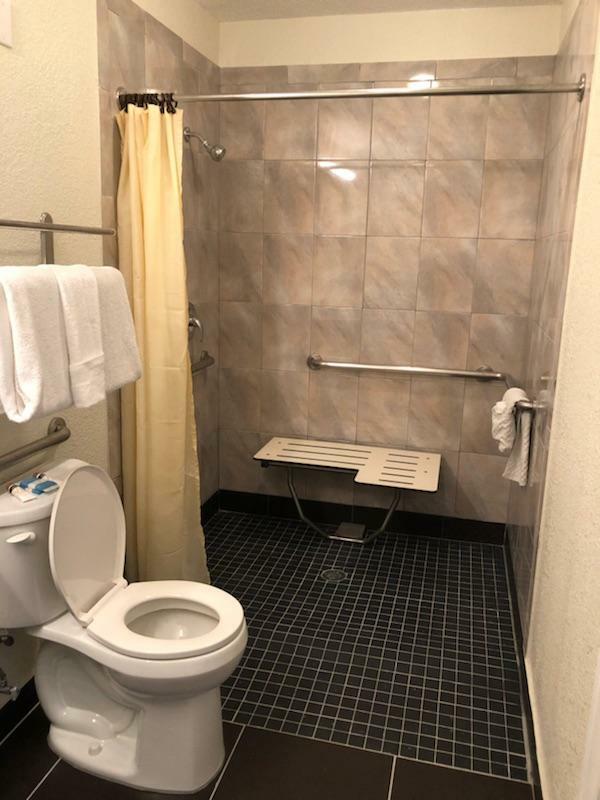 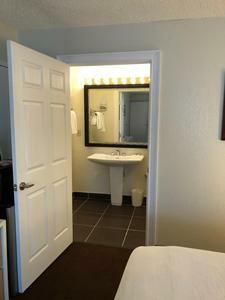 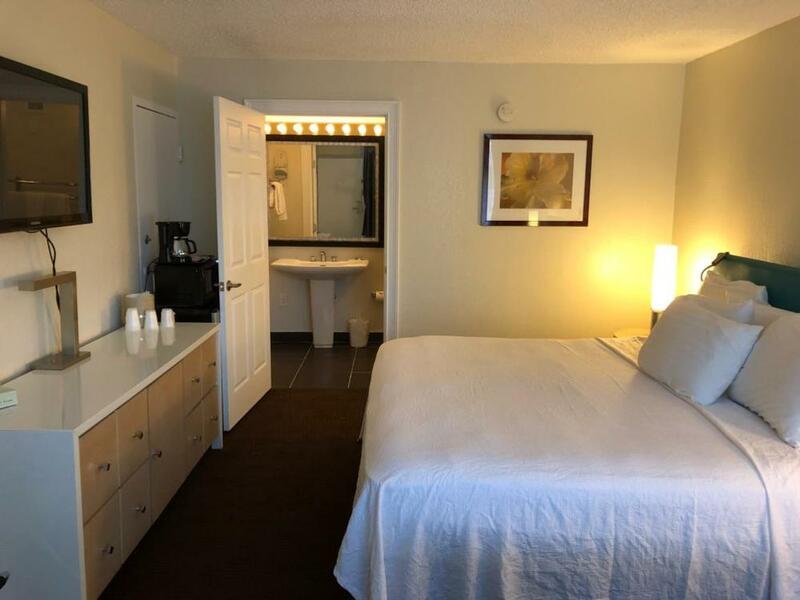 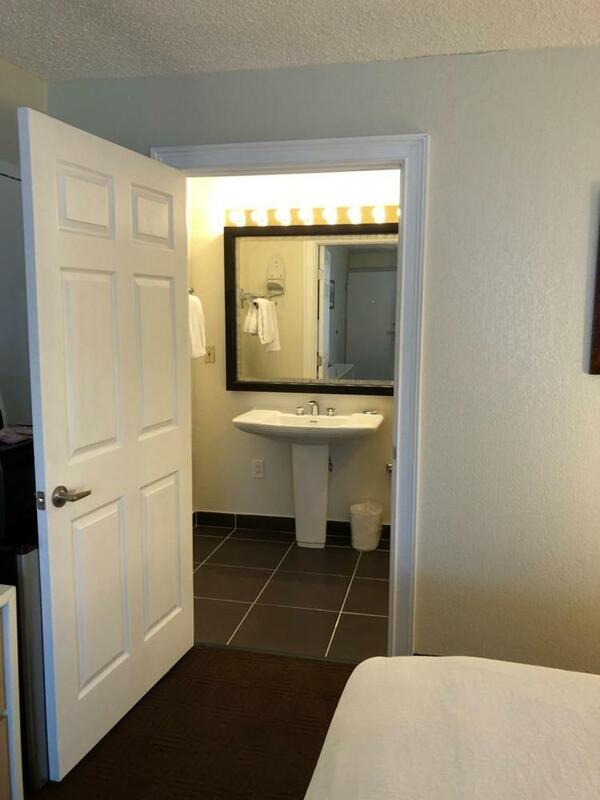 Room comes equipped with 1 King size bed, a roll in shower, raised handicap toilet, and a lowered accessible sink. Additional devices for the blind and hearing impaired are available at the front desk at no additional charge.